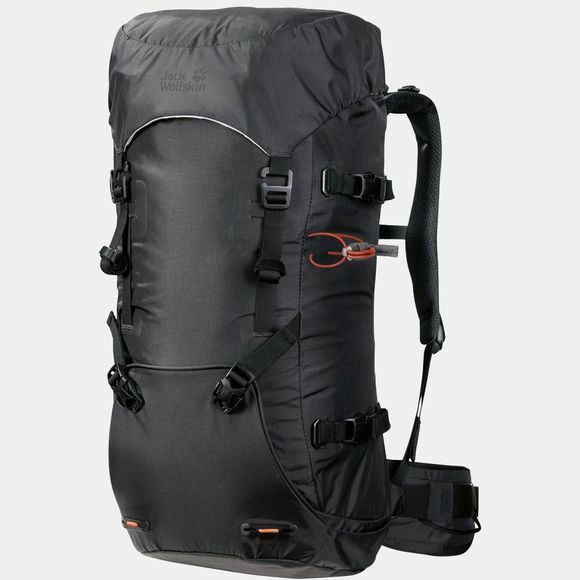 Ideal for the Alps, the Rockies or big mountain crags, the Mountaineer 32 Rucksack from Jack Wolfskin was developed specifically for use in the mountains in collaboration with the Alpinschule Innsbruck (ASI). 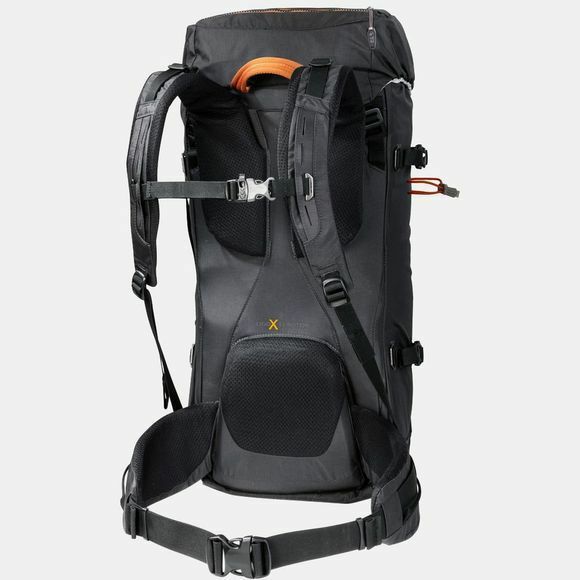 This pro-standard mountain pack was custom-designed for climbing and mountaineering, from the slimline shape to the comprehensive, alpine-specific detailing. The seams on the main compartment and lid pocket are taped sealed to prevent water ingress. The main compartment also has hermetic roll-top closure, while the lid pocket is equipped with a waterproof zip. This means that all your gear will stay dry if the weather suddenly turns nasty. If you want to go fast and light, it can be stripped down to make a lightweight soft pack. Simply take out the frame and remove the lid pocket, side compression straps, waist belt and sternum strap. There's an additional, reinforced external compartment behind the flap on the base of the pack. This is the place to stow your crampons and any other sharp items of equipment.